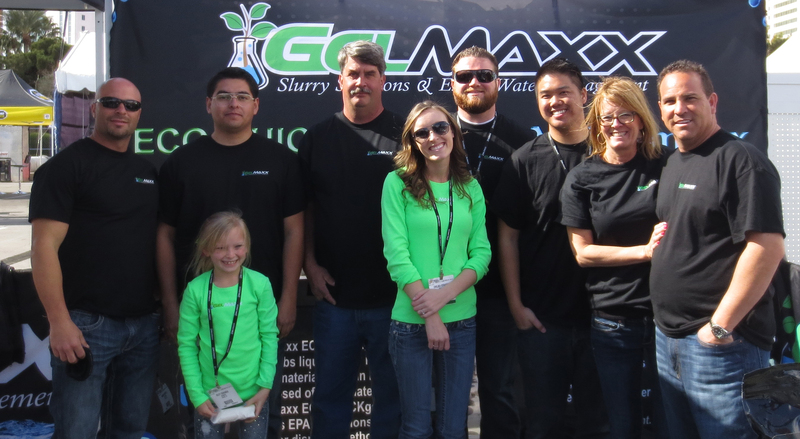 Being at the World of Concrete 2013 was an amazing experience for Gelmaxx and our entire team. One of the best parts was being able to showcase our products to the public and really being able to demonstrate what Gelmaxx can do. 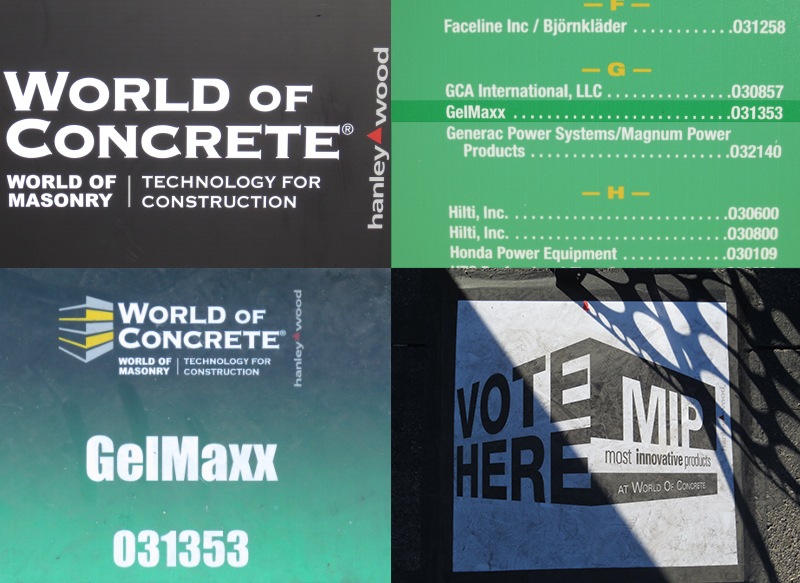 At the World of Concrete, we were literally able to meet people from all over the world ranging from Australia, South Korea, Columbia, and more. By meeting these world travelers, we were able to discover that there is such a need for a product like ours. Every country has their own rules and regulations for construction, but have one major commonality: they have no idea how to dispose of their slurry waste. This is where Gelmaxx steps in. Our ECO-QUICKgel and AQUAmaxx are meant to save you time and money, but one of Gelmaxx’s strongest benefits is its eco-friendly properties. No matter what part of the world, our natural resources are depleting and the amount of waste is constantly growing. However with Gelmaxx products, you can reduce the amount of slurry waste you are disposing while recycling the clean water. Gelmaxx exhibited from Tuesday through Friday, giving demonstration after demonstration. 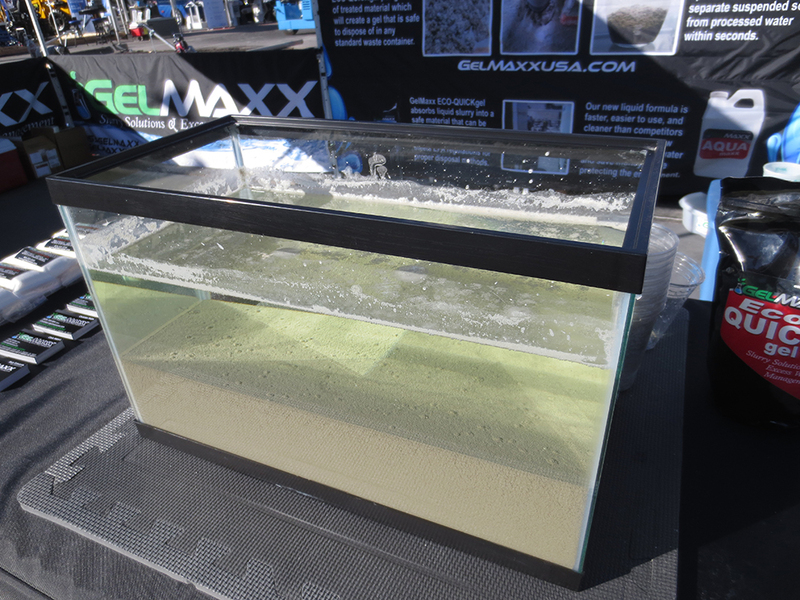 As people walked by our booth, they were captivated by both tanks that held separated and solidified concrete slurry. Spectators could not help but want to touch the solidified slurry; to feel the texture, to find out exactly what they were seeing. Most people were shocked to feel how dry, solid, and gel-like the resultant was. There were even some contractors that had already used ECO-QUICKgel on their jobsites. For example, Timothy from Northern California used our products while operating their Bobcat machines. They described how easy it was to just pour the solidifier on their liquid waste and dispose of the solids. Attendees were also pleased to learn that if you draw a line or circle of ECO-QUICKgel around the work area while sawing, drilling, or coring, it will create a water barrier that stops the slurry water from spreading all over the worksite. The ECO-QUICKgel really makes a messy job easy and manageable. Although some of the attendees had already known about our ECO-QUICKgel, they were pleasantly surprised to learn about AQUAmaxx. And when they found out that it only takes about 2-3 quarts of AQUAmaxx to separate an entire 55 gallon drum, they were floored. 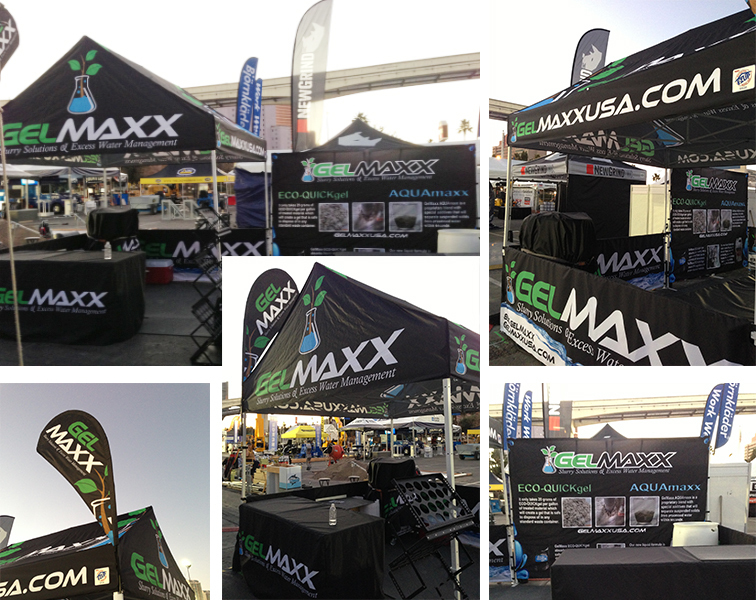 They were able to view Gelmaxx as a viable product that they could use on their own worksites. 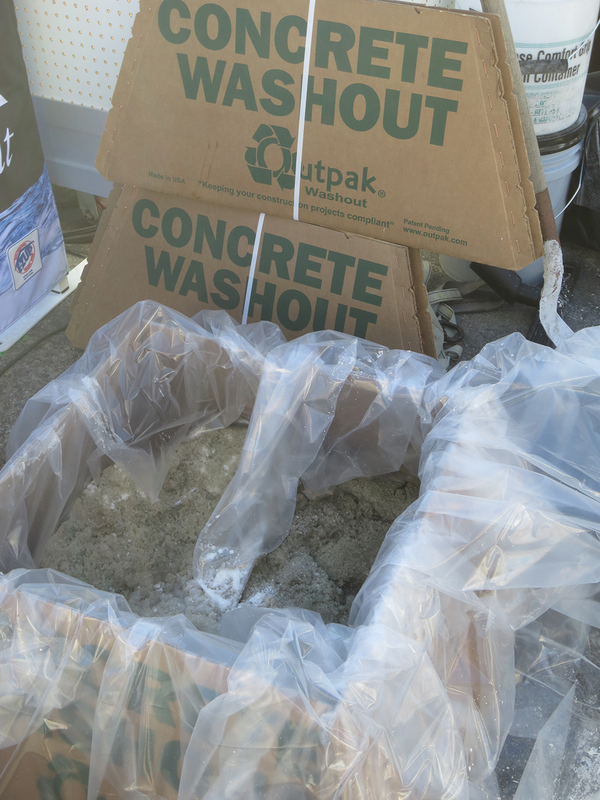 Gelmaxx also teamed up with Outpak during the World of Concrete and demonstrated how their portable washouts easily compliment the Gelmaxx cleanup system. Rather than dealing with large 55 gallon drums, the whole product can be disposed of in the worksite dumpster. Now there’s no mess and no hassle. 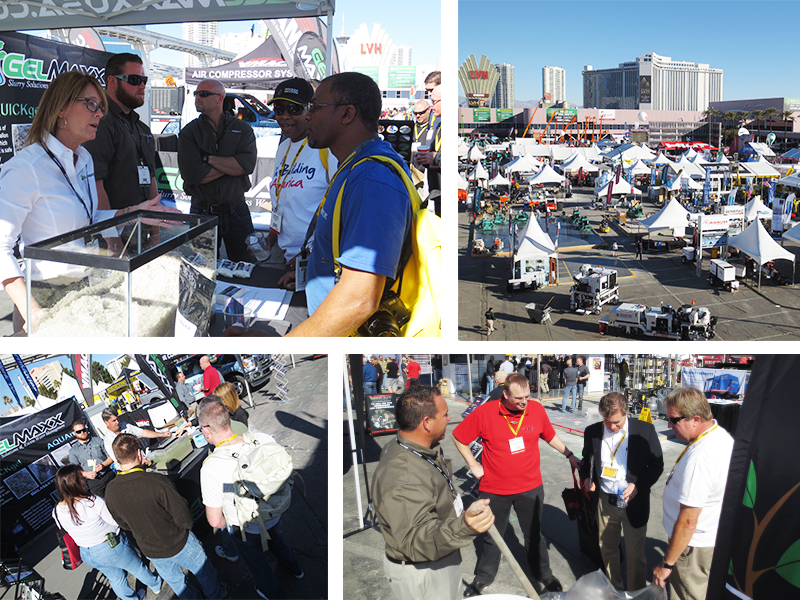 The World of Concrete 2013 was an undeniable success. Gelmaxx is ready to change the face of concrete.